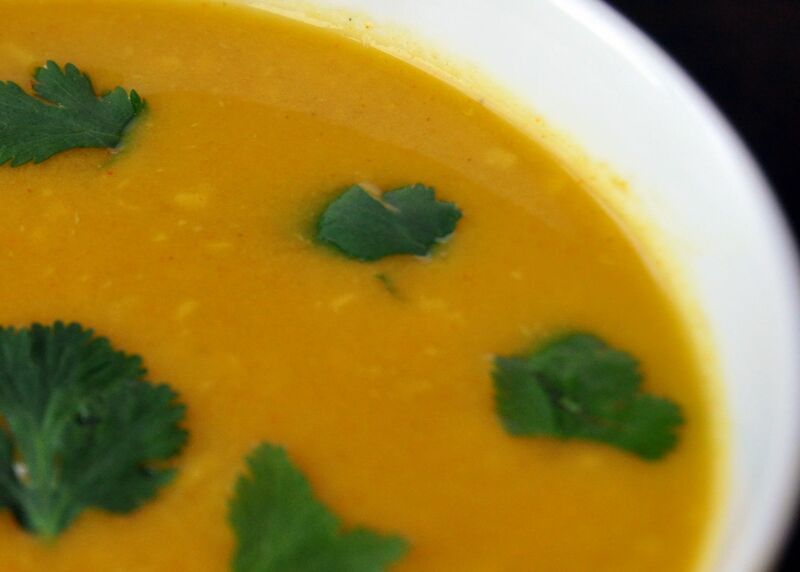 This Indian soup is spicy, sweet, warm and deliciously complex in flavor. "Mulligatawny" literally means Pepper Water. The recipe caught my attention because I saw a banana in the ingredient list...I knew I had to try it. I added rice to make it heartier and instead of garnishing it with yogurt I added a little coconut milk. 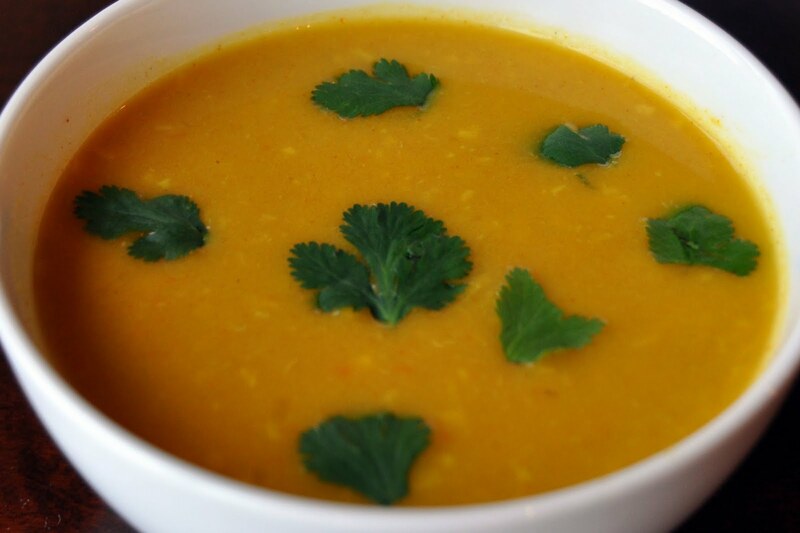 If you love curry you will love this soup. Puree the garlic cloves, 2 teaspoons of ginger and water in a food processor or blender. Melt butter in a large Dutch oven over medium heat. Add the onions and tomato paste and cook, stirring frequently, until the onions are softened and beginning to brown, about 3 minutes. 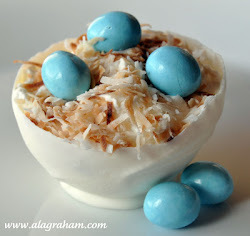 Stir in the coconut and cook until fragrant, about 1 minute. Add the minced garlic, remaining 2 1/2 teaspoons ginger, the flour, curry powder, cumin and cayenne; stir until evenly combined, about 1 minute. Whisking constantly, gradually add the chicken broth. 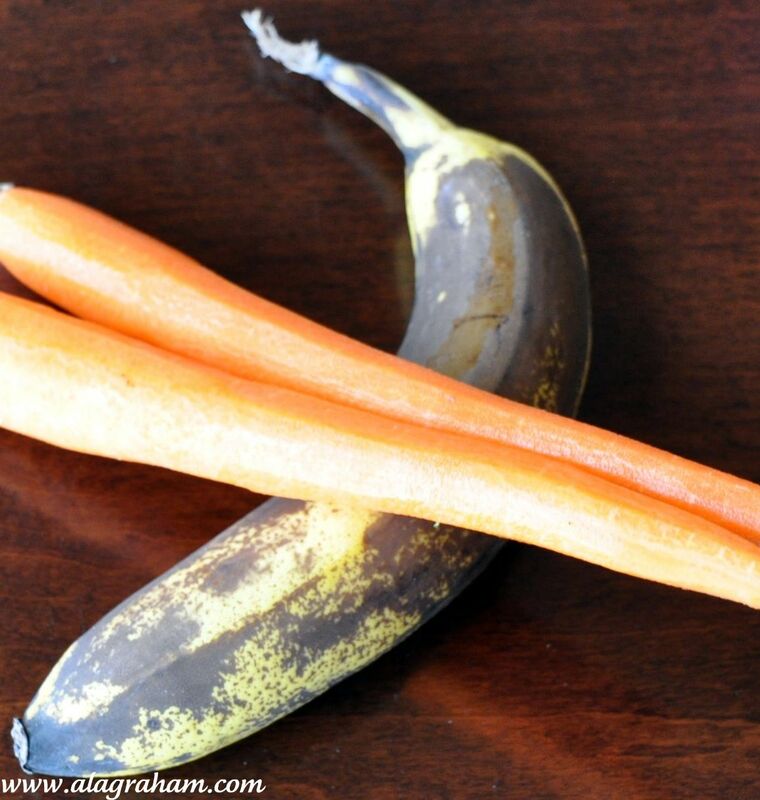 Add the carrots, celery and banana to the pot. Increase heat to medium high and boil. Cover and reduce heat to low and simmer until the vegetables are tender, about 20 minutes. 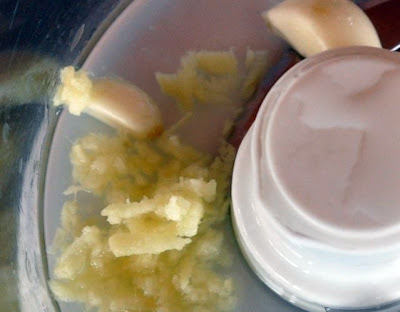 Empty the food processor's garlic/ginger mixture into the soup and puree with an immersion blender or use a blender to puree the soup in batches filling the blender only halfway for each batch. Add cooked rice to soup (optional) and heat until hot. Ladle the soup into bowls, spoon a dollop of yogurt over each bowl, sprinkle with the cilantro and serve. Soup can be refrigerated (without garnishments) for up to 3 days. What a delicious looking soup! And it sounds pretty healthy also with a great mix of ingredients! This seems to be a very popular soup and I'm sorry to say I've never had it before. The flavors sound so complex and delicious. I'm equally intrigued by the use of the banana. The flavors in this soup are wonderful and it has such a beautiful color as well. Love this! Pam, It tastes a lot better than it looks. I am going to have to make it again and take better pictures...I didn't do it justice! Kim, I had never had it before either and you can substitute a potato for the banana but I would way rather use a banana over a potato if I can. Bridgett, the flavors are wonderful, you have to try it. I would stay with the banana even though it is not a traditional ingredient for this soup. I never use potatoes. Use diced apples, 1/2 cup of whipping cream and finish with the juice of two lemons.